Swimming Pools: Forest Ridge has a very nice pool complex with three pools. Dive off the diving board or hang out in our L-shaped pool, swim laps in our lap pool, or play with your youngsters in the wading pool. Admittance: The swimming pool is open to all Forest Ridge Association members in good standing (i.e. whose assessments are current). Pool Season: The pool season begins the Saturday before Memorial Day and ends on Labor Day. 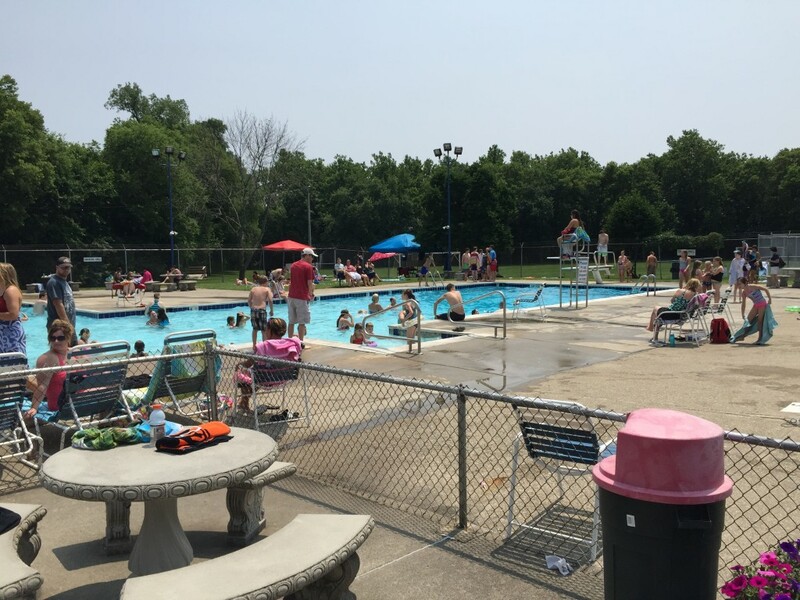 Due to staffing restrictions during the first few weeks and last few weeks of the season, the hours that the pool is open may be limited. Please check the bulletin board at the entrance to the pool for special hours of operation during these periods. Pool Passes: Pool pass is required for admission. Pool passes are to be picked up at the pool upon your first visit to the pool. Pool passes will be available for pickup on the first day of the swim season (the Saturday before Memorial Day). Guest passes are also available. See link below for additional information. Monday – Sunday & Holidays: 12 p.m. – 8 p.m.
Saturday (Adult Swim): 10 a.m. -12 p.m.
Wednesday (Adult Swim): 8 p.m. – 9:30 p.m. 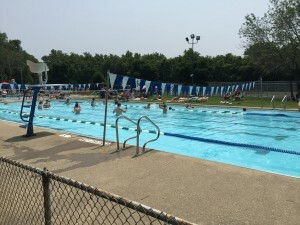 Pool Closing: The pool may be closed for maintenance, weather, health conditions, or other emergencies as determined by the pool committee, pool manager, staff member in charge, or by the Board of Trustees. In addition, the pool may be closed to general use for FRA events such as home swim meets. Pool Rules: See link below for pool rules. Swim Lessons: Swim lessons are available at the pool. There are two sessions each season (late June and mid July). Detailed information will be posted on the swimming pool bulletin board and provided via Murmurs, Facebook and Nextdoor. See link below for additional information. Private Parties: The pool is also available to rent for your own private party, lifeguards included. See link below for additional information. Swim Team: Forest Ridge has a neighborhood swim team for ages 5 to 18. It is a well known and well run team in the Miami Valley. Please visit the swim team website for more information. Visit this link for pool rules and additional information on the above items.